Water damage can be one of the biggest problems a homeowner will have to face and only gets worse with time, so our water damage Helotes team with 911 Restoration San Antonio is at our water damage San Antonio company offers same day service available 24/7/365. We have over 35 years of experience in the water mitigation field, so you can rest assured that we have truly seen it all and fixed it all from a pipe burst pumping water into a crawl space to storms causing rain leaks. Our water damage Helotes technicians respond within 45 minutes to provide the very best water damage restoration services in the area. We use the latest drying technology for water extractions that thoroughly dry your flooded crawlspace, the best remediation techniques for mold removal, and work with all insurance companies to make sure all of our professional services are done at an affordable price. 911 Restoration San Antonio is always ready to help out the community of Helotes with our fast, expert water removal services. Our water damage Helotes professionals want to make your home like new again. Call our water damage Helotes crew for water recovery any time your home floods and we will be there as fast as possible to start the drying and clean up process. We are IICRC certified to issue the ultimate water damage solutions. 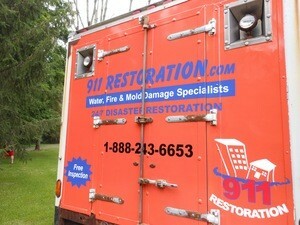 We are familiar with all disaster restoration services, from mold remediation to sewage backup cleanup. 911 Restoration Helotes even offers help with shutting down your water line amid the disaster and getting the most from your homeowner’s insurance. The first step is always to call our water damage Helotes experts so that we can arrive as quickly as possible and start water repair before mold spores set in. You also need to evacuate the property and shut down the water flow to prevent further damage. In order to get the most water damage coverage from your homeowner’s insurance, allow 911 Restoration San Antonio to file the claim for you, so call us today. Our water damage Helotes staff advise that, to get the most water damage coverage from your homeowner’s insurance policy, you should take steps to prevent disasters and show you are a responsible homeowner. Some water damage occurs spontaneously, such as a pipe burst. However, most problems begin as an insignificant issue and then grow into something larger. The moment you notice you have leaks or similar damage you should get it repaired. 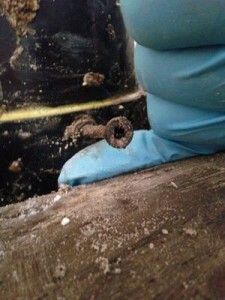 This will keep your pipes and other plumbing features strong, preventing a rupture or break. You also should maintain the repairs on your home to prevent any damage due to rain or other storms. Keep your gutters and downspouts clear of any debris. When there is debris, it can prevent the excess water from escaping, so it pools on the roof. This weakens the roof and will cause leaks and other damage. The minute you notice water coming into your house, you should fix the problems before it becomes a larger issue. Our water damage Helotes personnel offers an affordable price and works with all insurance companies, which means that you can afford the water damage services you need. Whether your damage is due to storms or plumbing problems, we can come right away and fix everything while working within your budget. Every member of the water damage Helotes company is licensed, insured and bonded as well as certified with the IICRC, so you can take comfort knowing that you are in good hands. Call 911 Restoration San Antonio so that we can take care of all aspects of the restoration process, from mold decontamination to dealing with the insurance company, because we are the best water damage Helotes company. The best water extraction in the business, performed with grace and speed by our water damage Helotes crew, makes 911 Restoration the best water damage company in Helotes. We offer same day service for repair and restoration services. Our full service company offers clean up and drying, and we use the latest drying technology and techniques. This helps to prevent any mold or mildew from growing, in addition to any rotting or warping. Along with water removal, we also offer restoration services so that your house looks as good as new when we are finished. The water damage Helotes team values professional and always puts the customer first. 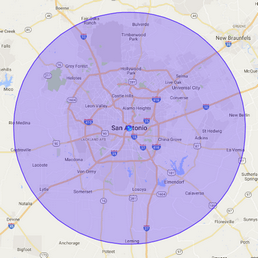 Helotes is a growing suburb of San Antonio, located in the northwestern side of the city in the valley of the Helotes Creek. All of these topographical elements come together to make Helotes, Texas a dangerous place to live in terms of water damage. Valleys and creeks do not mix well. When rains do come to our city, they flood the creek easily and, being trapped in a valley, those floods make into houses just as easily. Call our water damage Helotes team with 911 Restoration San Antonio when water makes it into your home and our water damage Helotes team will provide you with a fresh start.